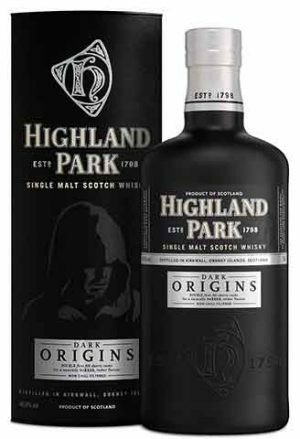 This 17 year old special release 'The Dark' celebrates autumn and winter on Orkney; a time to escape from the wild weather outside and gather together with friends and family, sharing long nights of conversation and laughter around the table, around the fire. 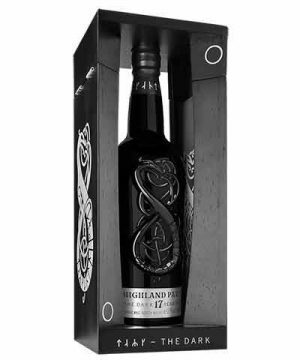 Presented in a beautifully embossed black glass bottle, the serpent dragon design takes its inspiration from the great Norse sagas and embraces both the high sun of summer solstice and the low sun of winter solstice. 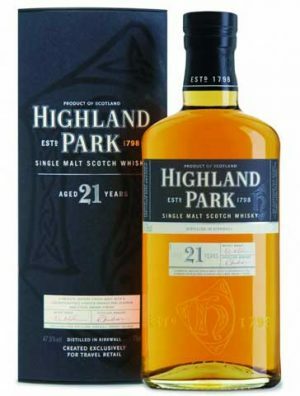 Matured in 1st fill European oak Sherry seasoned casks. 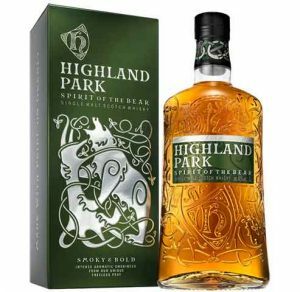 This 17 year old special release 'The Light' celebrates autumn and winter on Orkney; a time to escape from the wild weather outside and gather together with friends and family, sharing long nights of conversation and laughter around the table, around the fire. 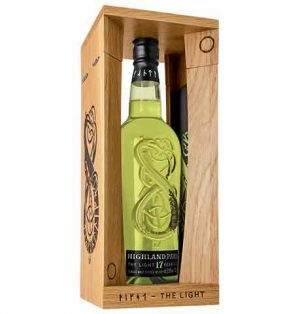 Presented in a beautifully embossed green glass bottle, the serpent dragon design takes its inspiration from the great Norse sagas and embraces both the high sun of summer solstice and the low sun of winter solstice. 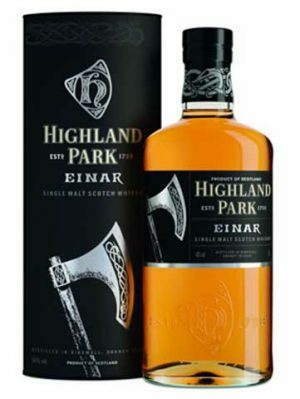 Matured in re-fill American oak casks. 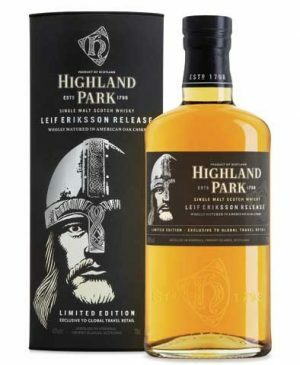 Together with Ice Edition, FIRE EDITION represents one half of a special two-part bottling, celebrating the great sagas of the Viking age recorded in the oldest Norse poems, the Poetic Edda. 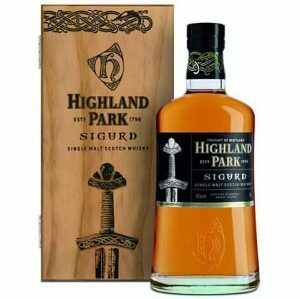 The Poetic Edda tells the tale of the apocalyptic battle between the Gods and the Fire and Ice Giants, where the old world perished in a blazing ball of fire and the new world was born from its ashes. 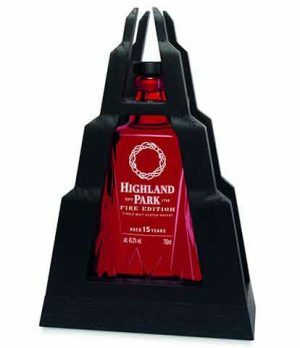 Celebrating this re-birth, or Ragnarok, Highland Park released FIRE EDITION, encased in specially commissioned crimson glass. 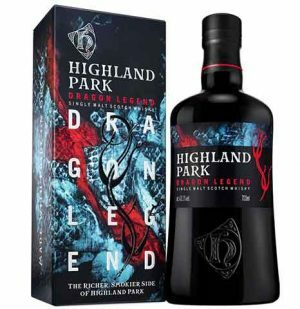 Matured in 100% refill Port seasoned casks – a first for Highland Park – the result is a vibrant single malt with the natural hue of glowing flames. Here, damsons, cinnamon, dried fruit and chocolate dance on the tongue, before sizzling to an intense fruity finish. 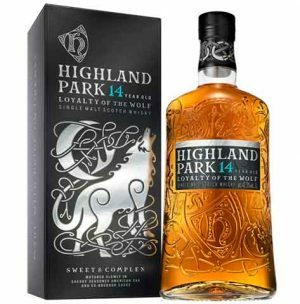 Together with Fire Edition, ICE EDITION represents one half of a special two-part bottling, celebrating the great sagas of the Viking age recorded in the oldest Norse poems, the Poetic Edda. 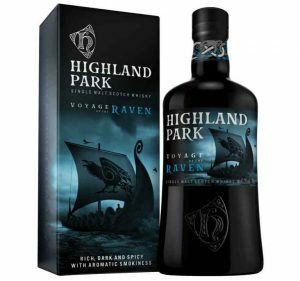 In a fittingly chilly reflection of Nilfheim, one of the nine worlds of old Norse mythology and the birthplace of ice, frost and fog, ICE EDITION is presented in a glacial blue bottle. 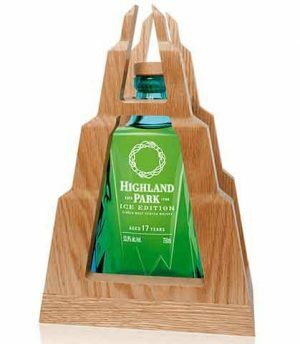 Exquisitely designed to reflect shards of glittering ice, the bottle is encased in a wooden mountain-like cradle and sealed with a wooden stopper. 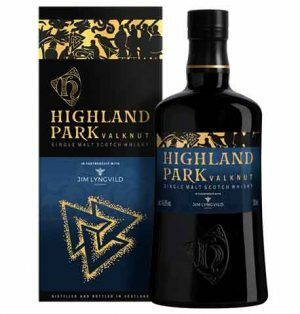 A special release, it delivers intense aromas of cool fresh pineapple and ripe mango sorbet, underpinned by a frosty kick of root ginger, reflecting all the majestic powers of the great Ice Giant, Ymir. 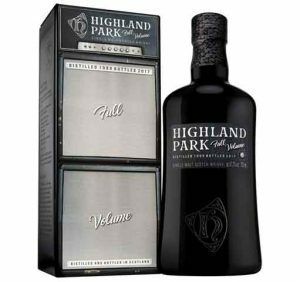 For musicians, amps and equalisers maintain critical balance at high volume by fine-tuning musical frequencies – at Highland Park, their Master Whisky Maker, Gordon Motion, does a similar job. 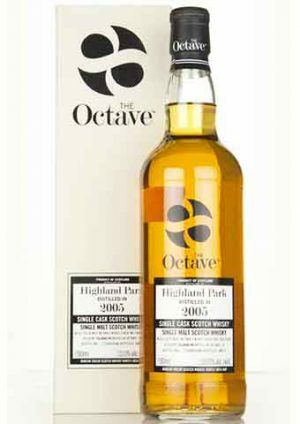 Full Volume was created using 100% ex-bourbon casks rather than our traditional sherry-seasoned ones. 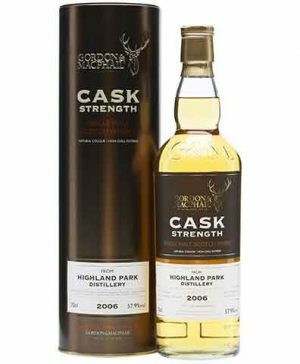 During 1999, a combination of 481 casks – 200 litre barrels and 250 litre hogsheads – were filled at strengths of between 63.6% and 63.7%. 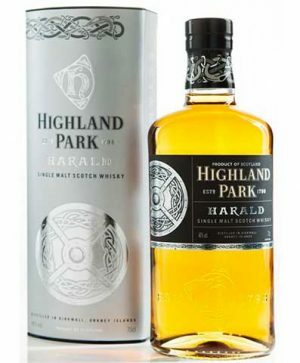 The whisky was filtered at just over 4oC and delivers flavours of creamy vanilla and sweet citrus fruits from the bourbon casks, balanced by Highland Park’s characteristic aromatic smokiness. 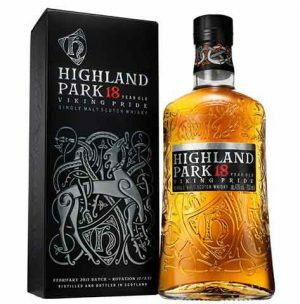 Distilled 1999, bottled in 2017. 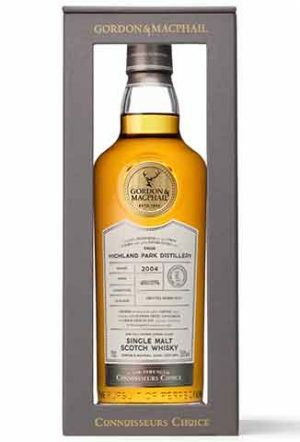 This 2004 vintage, 14 year old, Highland Park was bottled by Gordon & MacPhail in 2018 at 58.8% abv. Matured in a re-fill American Hogshead. 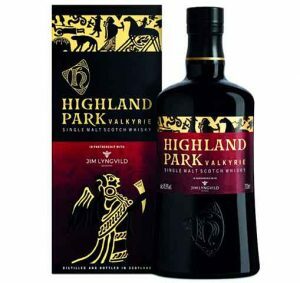 "Smooth and fruity with a touch of underlying smoke"
Originally created exclusively for global travel retail and duty free markets, this whisky was named 'Best Single Malt' of the Year at the World Whisky Awards 2009. 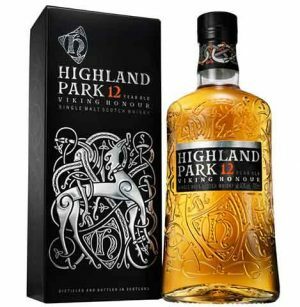 Matured in mainly American oak Sherry casks, Highland Park 21 is a full-flavoured, powerful, sweet single malt with a rich smoky finish.